As a follow-up to last week’s show on Personality Profiling: Helpful or Hokum?, I came across an updated article by Annie Murphy Paul, author of The Cult of Personality Testing, a devastating book on the cult of these profiles. She’s even more critical of them in this article than in her book. An excellent look at how world hunger has dropped dramatically. Another great, untold story of the power of the free market to alleviate misery and raise the standards of living of the poor everywhere. “Bill Gates: Job-stealing robots should pay income taxes,” from CNBC. “The robot that takes your job should pay taxes,” says Bill Gates, Quartz, February 17, 2017. My only question is if Gates would have been a proponent of taxing Microsoft Office for displacing jobs, and slowing down the diffusion of the software? According to the Bureau of Labor Statistics Survey, which conducts a survey every two years that extrapolates current trends in various categories of jobs, and predicts the growth over the next ten years, the top job growth, with 108% expected growth, is: Wind turbine service technician. Of course, this entire industry wouldn’t exist without government subsidies. Other jobs with expected growth rates from 43% to 27% include: Occupational-therapy assistants, physical-therapy assistants, home-health aides, commercial drivers, nurse practitioners, statisticians, personal financial advisers, and optometrists. See “Apply within,” from The Economist: The World in 2017. Mark Cuban, in an interview on Bloomberg TV, said that candidates who excel at creative and critical thinking will be in greatest demand in the coming years. This means more majors in the liberal arts, such as English, philosophy, and foreign languages. The Economist, Schumpeter, “Management theory is becoming a compendium of dead ideas,” December 17, 2016. The story since 2008 has been not competition but consolidation, with over 30,000 M&A deals done every year, approximately 3% of GDP. The rate of business creation has declined since 1970s. One cause is a tax system that punishes growth (it’s not a tax on the rich, but on getting rich). In some ways, it’s slowing down (regulations, compliance, FDA drug approval process, etc.). 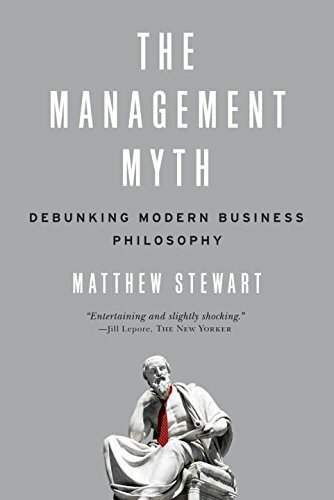 The glaring weakness in management theory: its naivety about politics. As a follow-up, in The Economist: The World in 2017, “Practice makes perfect” it reports that China cranks out about 50,000 MBAs every year, less than half the rate in the USA. But these are based mostly on Western knowledge. It’s private firms that are innovating management methods, such as Alibaba, an e-commerce giant that pioneered escrow in its payment system, and WeChat, the world’s most advanced messaging and payment platform. Chinese companies are rejecting the Western principle of core competence. Instead, “multiple jumping” is the new fad. Baidu started as a search company, then moved into mapping and apps, and now AI and autonomous cars. Count me among the skeptics. Is Google, or Apple, not multiple jumping? Many Chinese companies rely too much on low prices, which is not sustainable in the long-term. One skeptic pointed out that even Baidu’s sexier investments couldn’t happen without government support. Prices should never be justified by an increase to costs. That said, prices (in this case wages) should not be set by government fiat. I am not sure which is worse. AI might do your taxes this year, courtesy of IBM Watson from TechRepublic. In partnership with H&R Block, IBM Watson's cognitive computing engine will be used to help tax filers maximize their returns. The NBA’s most efficient offenses seek out layups and threes. A high school in Minnesota takes the idea to the extreme. Food bureaucrats cannot stand to see a rule being broken, no matter how arbitrary it may be.